Used to be, when deciding which pen to take on a trip, the most important quality it could have was its proximity to me while I packed. I just grabbed anything, but like every unattached man who spends a considerable percentage of his life walking, I've had plenty of time for superfluous contemplation. Sometimes it might be about the nature of existence or how everything in the universe is connected in a very real way, or I might wonder how salmon would feel if they knew we had a color called "salmon", but it wasn't the color of their healthy scales... My thoughts on the trail aren't always meaningful or useful, but I think about practical things too. Like what would be the best writing utensil for a backpacker. Also, cheeseburgers come up a lot. I write most nights, while lying in a tent or hammock, at weird angles. Sometimes while hiking, I stop to write something down in cold temperatures or at high altitudes and get frustrated with pens that fail. 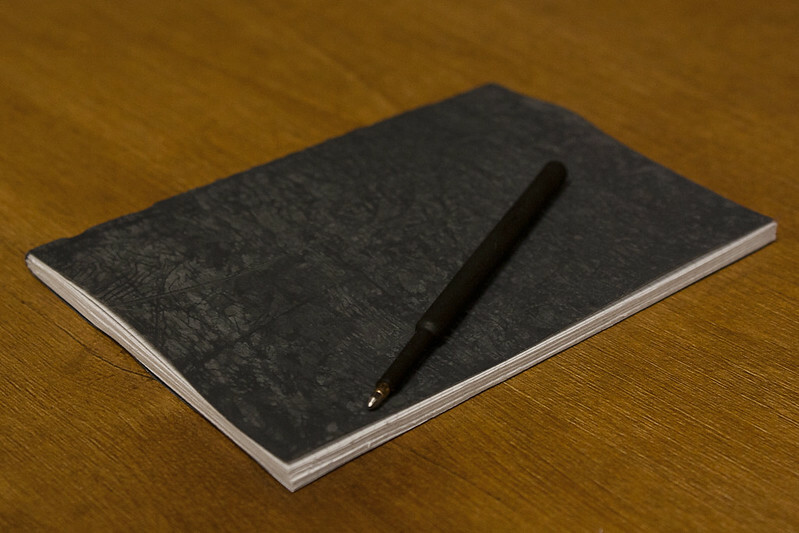 It will write on just about anything, even wet or greasy paper. The metal refills are a bit too thin and slick to write with comfortably, so my instinct was to wrap some of my duct tape around it. I already have it with me and it works perfectly fine, but thanks to an idea by Brian Green at Brian's Backpacking Blog, I now wrap it in heat shrink tubing. 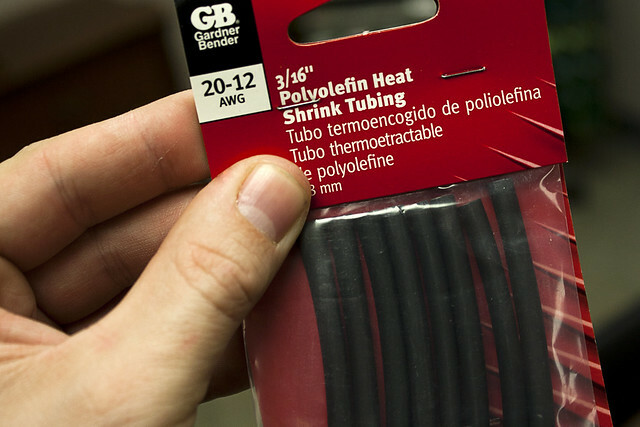 The tubing runs about $3-4 in most hardware stores, for 8 tubes. 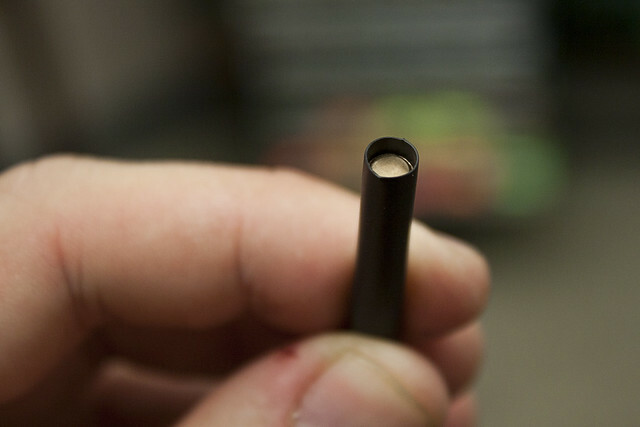 First, slide the tube over the pen with about a 1/16th of an inch hanging over the end. Shrink the tube with a heat source. A heat gun works better, but since most people don't have one, I used a lighter to show that it will work too. Constantly move the flame back and forth so you don't burn the tube. It will start shrinking in a couple of seconds. 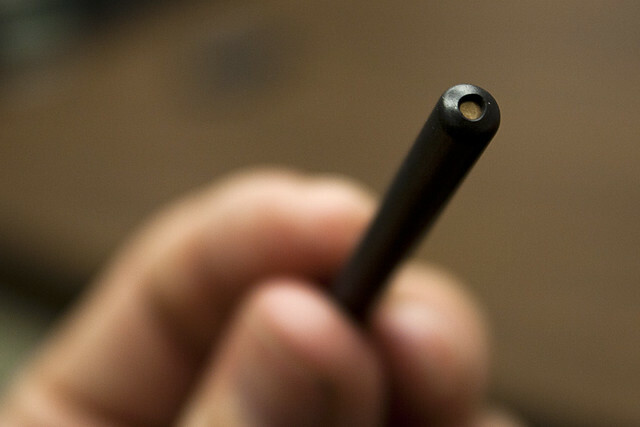 The extra length at the end is to hold it in place, because the rubber tubing will eventually expand slightly and slide off. If it ever does get loose, you can reheat it with the lighter for a few seconds to shrink it again. Now it's comfortable to write with and it stays put when I stick it on my ear, which I do a lot. Final weight, just 3 grams. Actually, NASA didn't develop it, Paul Fisher did, independently and without government money. He presented it to NASA, they tested it thoroughly, and started using it on space missions. Cost to NASA, $2.95 each. 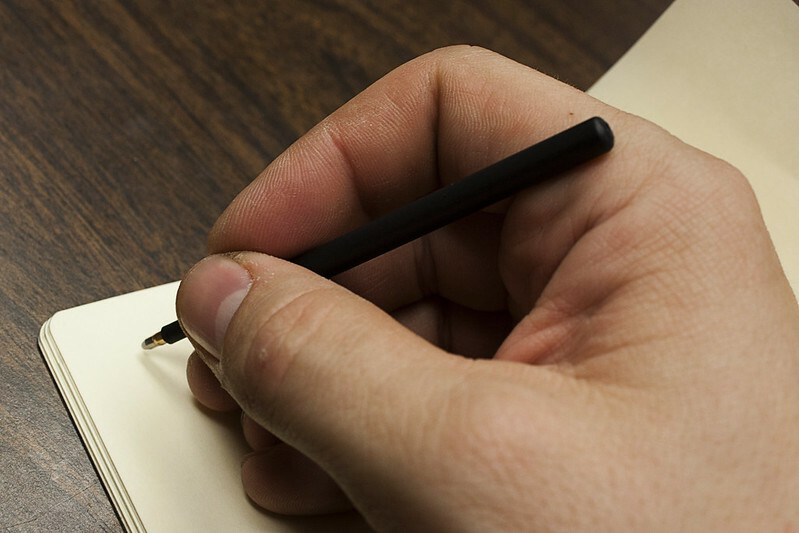 It's not clear how much he spent to develop the pen, but it is clear that he did it to market his pen company. The space program was incredibly popular in those days, and he wanted to capitalize on it by making the pen the astronauts used. Hmm, now I'm wondering if his marketing genius had anything to do with that Seinfeld episode. It's true that Russian cosmonauts used pencils, because before these pens were invented, pens didn't work well in extreme temperatures or in a vacuum. Pencils are problematic too, though. 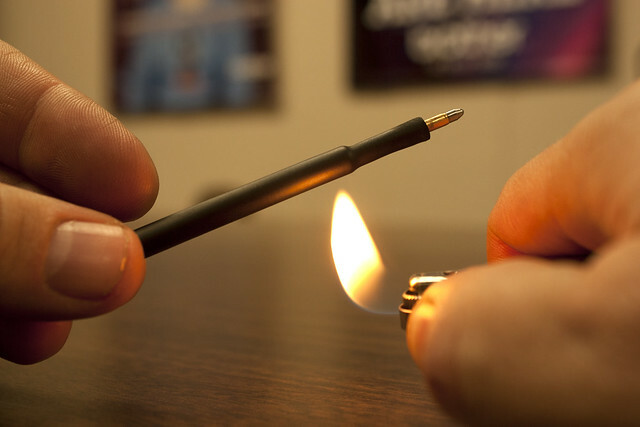 Wood and lead burn rapidly in a pure oxygen environment and plastic mechanical pencils with graphite "lead" broke easily, which caused problems when floating around in zero gravity by shorting out electronics and floating into eyes and noses. 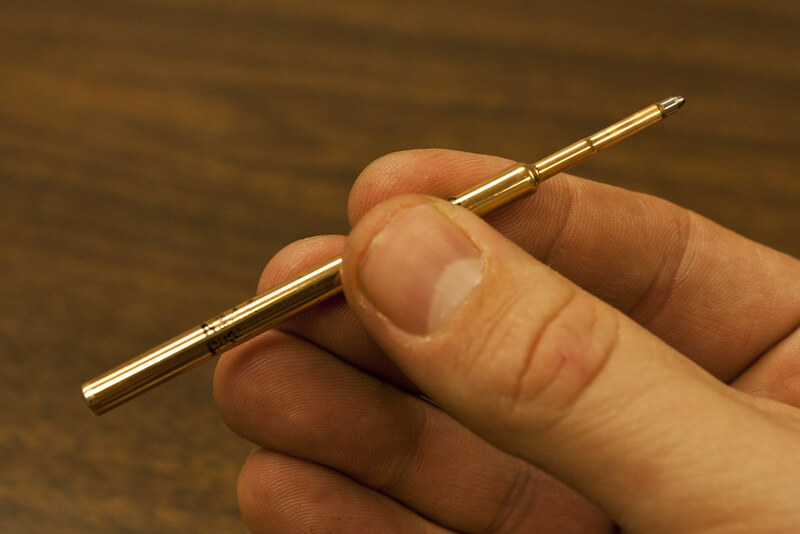 Then the inventor, Paul Fisher, walk in with an inexpensive solution to a potentially expensive problem, a little cartridge of thixotropic ink hermetically sealed and pressurized with nitrogen gas. It has been used in all manned space missions since. Not long after the Americans adopted the space pen, the Russian started using it as well. So, a story that has been touted as proof of wasteful American spending, is actually a story of American innovation and our entrepreneurial spirit. And most importantly, now I don't have to roll over on my elbow in the middle of the night to write down a thought that I'm convinced is interesting or clever, even if I'm on top of Mount Whitney in the middle of winter. I may have walked 3,000 miles with gear on my back, but rolling over on my elbow to write? Come on, I'm not Superman.